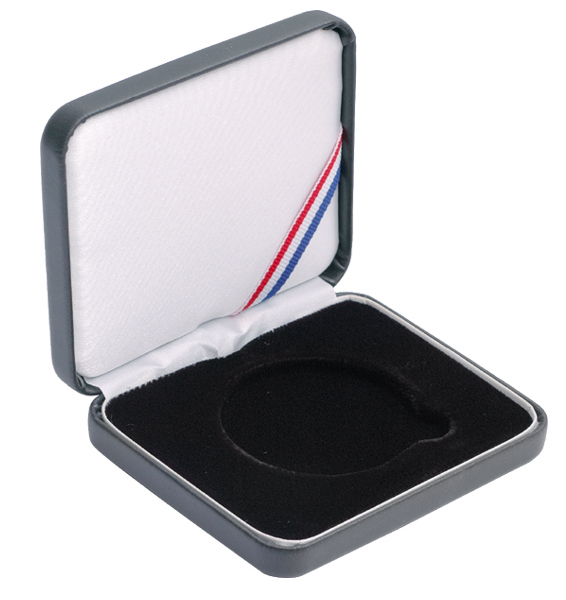 These 1 coin leatherette protective presentation cases for 39mm 1 ounce bullion rounds/coins fit most Northwest Territorial Mint, Pan American and Silver Towne 1oz rounds. 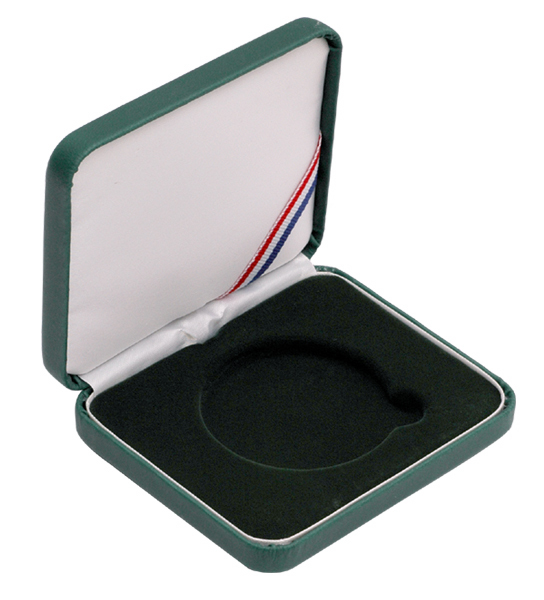 These 1 coin presentation cases have a bedding area with one coin placement area. 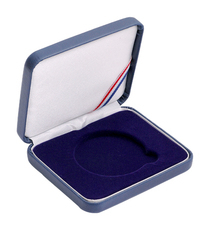 The coin placement area measures 1.5 inches which will accommodate one 39mm airtight capsule and is made of a plush velvet material. 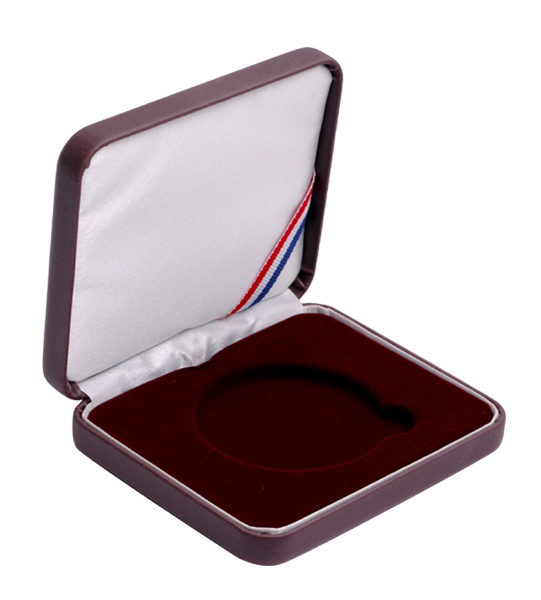 These cases are also made with a sturdy tension hinge that opens/closes like a ring box and it comes with a white cardboard sleeve to protect the presentation case. These cases will help keep your collection pieces in top condition. Black, Blue, Burgundy, Green & Red. NEED More Than We Have In Stock ? Contact Us we can Have More In Stock within a week from our supplier. 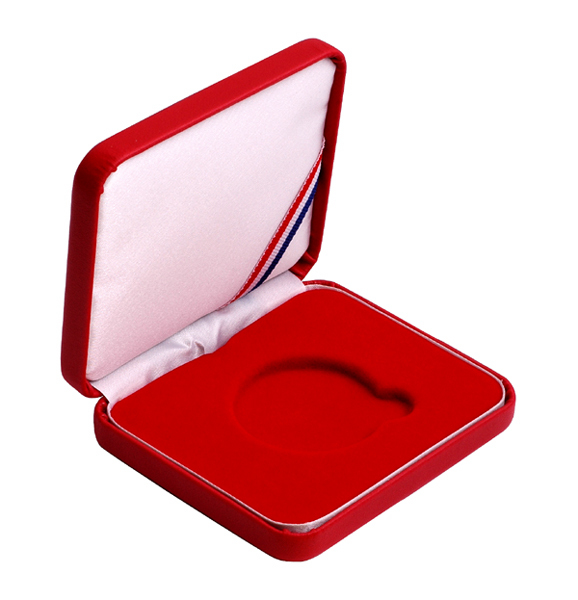 PLEASE NOTE: Please Be sure to check your bullion size we will not accept returns on airtight capsules and protective cases because they wont fit, All sizes are listed in our listings Thank you.